South of the centre and west of the airport the Auferstehungskirche (church of the resurrection), the youngest Christian church in Speyer, was built in 2001 - 2002. It is a simple square building which has glass elements on three sides. 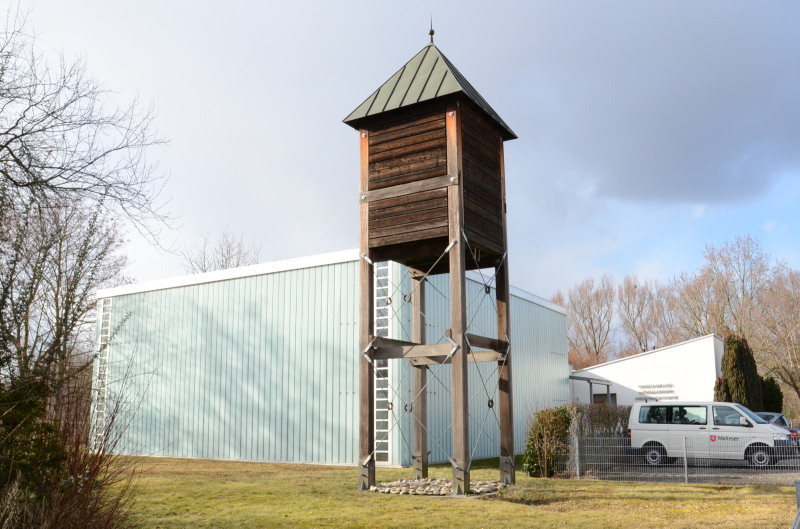 In addition there is a wooden belltower in scandinavian style next to it. From the outside the church is rather unimposing, what also is emphasised by the remote location. Therefore the church is consistent with the protestantic ideal of modesty.